The Melodie Hope Jones Memorial Scholarship Fund is a scholarship established in memory of Melodie Hope Jones, a 2015 graduate of Milano High school, who lost her life in a tragic auto accident while attending Blinn College and pursuing her dream of becoming a nurse. 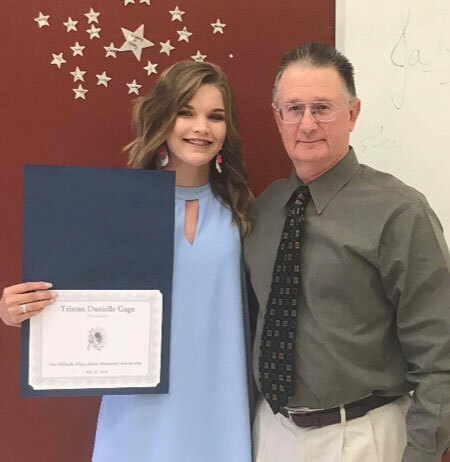 This educational scholarship was established to recognize and support a senior Milano High School student that through their caring and compassion for their peers exhibited the same determination and compassion for others as Melodie Hope Jones did in pursuing her educational dreams at both Milano High School and Blinn College. The 2018 Sunflower Fun Run/Walk raising money for the Melodie Hope Jones Memorial Scholarship brought out close to 400 people to the Davidson Creek Park in Caldwell. Many others participated by running, walking, and encouraging. The focus was on encouraging others in their personal goals and enjoying the path. Everyone that participated was a winner at heart. Congratulations to Tristan Gage, 2018 recipient of the Melodie Hope Jones Memorial Scholarship. The Melodie Hope Jones Memorial Scholarship Fund, Inc is a Texas Nonprofit Corporation established in 2017.